“Compost bins are breeding grounds for germs and bacteria. Having a dirty compost bin is not only unpleasant to be around, but also attracts many unwanted guests such as insects and rodents. With our fully self-contained and mobile unit we come to you and leave your dirty bin looking good as new. Our hot water system will kill 99% of all bacteria living inside your compost bin. We leave no mess behind, leaving your bin smelling like our scented deodorizer. If you have a bin or bins we are at your service. For any residential clients, we offer our services all throughout Colchester county. 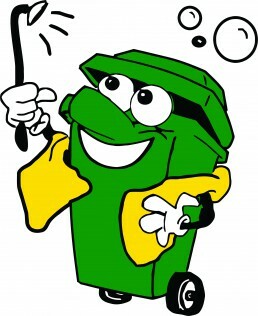 Email or call today to book yourself in to have your bin or bins cleaned on the same day your bin is dumped. For all commercial inquiry’s and rates, please contact us for further details. Not a cent is paid until your bin has been cleaned! 15% off on all of our power washing services offered as well as any one-time cleanings for our compost bin cleaning service.